I am loving Google Sync for my iPhone! 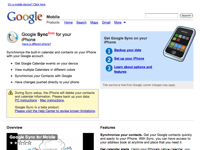 Google recently announced their Google Sync service for the iPhone. The highlights are it leverages the great Google Mail (plus Contacts) and Calendar services with the best sync/push protocol out there: Microsoft’s Active Sync. At work, Brock University, migrating our small department to MS Exchange has been an option for a while, however I’ve been waiting to recommend it until the labour and confusion involved in the transition would balance-off the benefit. Now that essentially the same service has come to the rest of my life once I had it working I immediately started trying to get my wife to add it to her iPod touch! The value of Google Sync is all of those features that the corporate world has been using over the last decade can now be enjoyed by us promiscuous web users with the ubiquitous web tools Google has developed — a big class silo that anyone can jump into and radiate out of, unlike corporate Exchange systems. Not only do I have all my Google calendars, contacts and all of my E-Mail in my pocket but I can also get new items instantly added to my calendar. I was mid-way through writing an E-Mail on my iPhone when I realized I had an old address for someone. I then quickly looked up on my desktop the person’s new address on Facebook and changed it in my address book. I then picked my iPhone back up and it was ready to auto-complete the new address — without even having to open an close Mail on the iPhone! Tomorrow’s GTA Gas Price Today! If you haven’t been there yet I highly recommend MP Dan McTeague’s “Tomorrow’s Gas Prices Today” web site. It delivers what it promises based on a formula that factors in today’s closing price for bulk gas on the New York exchange and projects tomorrow’s price. The site even provides an RSS feed of the prices (featured above)! 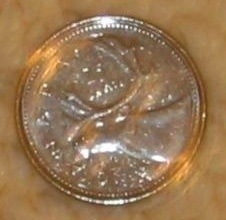 After learning today that Groundhogs have about a 30% accuracy record for predicting the end of winter I’ve decided to get in the game myself: I’ve flipped a coin. 6 more weeks of winter agrees with with Wiarton Willie and the rest. I don’t know if that is a good start. You are currently browsing the iMatt :: The Blog of Matt Clare weblog archives for February, 2009 .